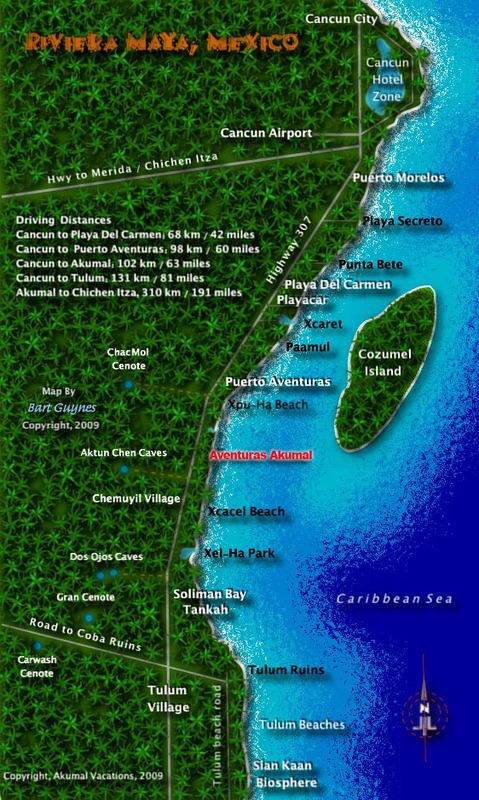 Villas DeRosa is located 65 miles south of the Cancun International Airport. The driving time is approximately 90 minutes passing through the town of Puerto Morelos and the big city of Playa Del Carmen. The highway has four lanes and is divided. There is now a bridge that allows traffic to pass over the city of Playa Del Carmen. Drive safely and we will see you at Villas DeRosa on the beautiful beach of Aventuras Akumal.